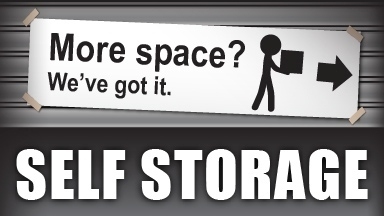 Want self storage you can rely on? Trust us to keep your belongings safe. Our units are secure and our rates are competitive. Call today! Self storage units are a great way to create extra space at home and keep your stuff out of the weather. Most units are in facilities that have public storage units that are climate-controlled, keeping your items safe from weather damage. Whether you’re looking for mini storage or a larger unit, be sure to educate yourself on important storage tips before moving, such as using the same sized boxes for storage, avoid storing items in plastic bags and rent a unit big enough space to walk between your stacks in your storage unit.